I stood in front of the newly dedicated historical marker and began speaking. It was very cold that morning, in the thirties. It was colder than normal for a late April day. As I began my talk to the attendees, Westerners, bundled and eager to hear what I had to say about the American Jewish experience, the clouds grew dark and heavy above Wild Horse Butte. Suddenly, the sky opened with ferocious, biting chunks of ice beating upon our heads. A biblical deluge of hail and icy rain poured unceasingly down. The Westerners, hardier than I, were willing to stand exposed to the storm to hear what I had to say. Shirley and Joe Begay were preparing Navajo Tacos. The Navajo Taco is prepared large flat pieces of dough thrown in a boiling, open caldron of pig fat that is quickly transformed into golden brown puffed floating crusts. The hot taco is pulled out, filled by the guest with an assortment of local produce, meat and other very colorful, savory items. I appreciated the generous repast presented before me but I explained, like Solomon Carvalho, I could not share with them the generously offered meal. I apologized. The hot food looked delicious on this very cold day, but as a Jew, pig fat could not be eaten. No offense was taken by the Begays or any present. I pulled out a nice cinnamon raisin bar from my pocket for myself. The storm blew over. 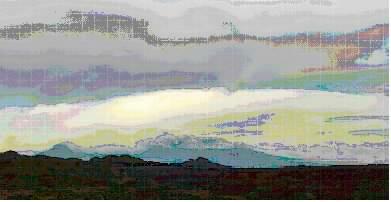 The sky opened through white clouds, a snow capped mountain peak appeared in the far distance perhaps forty miles away. My audience was very eager to hear more about the American Jewish story. It was not often that a Jew came to that remote corner of Utah. 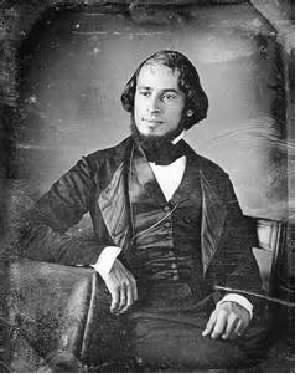 Solomon Nunes Carvalho was born April 27, 1815 in Charleston, South Carolina5. He was a Jew of Portuguese descent. His father, David Carvalho, was involved in the founding of the Reformed Society of Israelites, the first Reformed Jewish Congregation in the United States 1825. His Uncle, Emanuel Carvalho, was a cantor in Barbados, Charleston and Philadelphia. The Carvalho family were traditional Jews, upholding orthodox Judaism. Yet they believed in America there had to be change from within the synagogue for Judaism to thrive. They strongly advocated for English to be included in religious services. Worship should be accessible and comprehensible to those who had little or no Hebrew, they argued. They encouraged radical ideas such as sermons to be added to the traditional Sabbath service. Solomon stayed close to his Jewish identity all his life. In 1849-1850, he was a board member of the Philadelphia Hebrew Education Society. A year later, 1851-1852, his name appeared as a member of New Yorks Shearith Israel Congregation6. Since early childhood, Solomon exhibited an unusual gift for a Jewish child to develop. He early on displayed a remarkable ability in art. At 19, his family relocated to Philadelphia where he had greater access to artists and art. Five years later, largely self taught, Solomon listed himself in the Philadelphia city directory as a portrait painter. His abilities and recognition as an artist of significant ability grew rapidly. When he was twenty-five years old, he painted a portrait, Child with Rabbits. The painting would be incorporated into the currency of millions of printed notes of the United States, Canada and as far as Argentina. A new popular form of artistic reproduction, sharply detailed, accurate and very exciting was developed in 1839 in France. It was named after the inventor of the process, Philip Daguerre. It became known as Daguerreotype7, a precursor of modern photography. Daguerreotypes were a process that involved using highly toxic chemicals and highly polished silver coated metal plates to create a surface that would be light sensitive. The process resulted in a single, extraordinary detailed image. Daguerreotypes, and people who could manage successfully the complicated creative process, became in high demand. Carvalho recognized the new medium as a great creative and economic opportunity that could dovetail with his portraiture work. He opened up art and daguerreotype studios in Baltimore, Charleston, Philadelphia and New York. Between his accomplished work as an artist and his new sophisticated skill as a daguerreotypist, he was becoming quite famous. 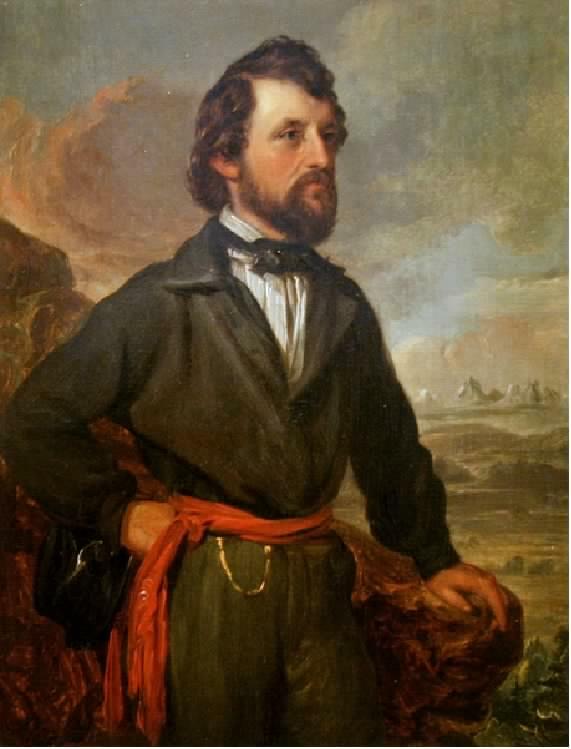 Colonel John Charles Fremont8 was one of the most famous Americans in the 1840s and 1850s. He had led four expeditions of exploration into the unknown, mysterious American West. The stories of his expeditions grabbed the imagination of the American public. Fremont was popularized in the nascent mass market Penny Press. Americans saw the courage, daring, and actions of Fremont as affirming their belief in Manifest Destiny. Manifest Destiny was the God given American destiny to unify the North American continent in a single country that would stretch from the Atlantic to the Pacific. During the Mexican American war, Fremont brought California into the American orbit when he took control from the Bear Flag Republic. To many, Colonel Fremont was more than a legend. He was more than a man. He was the American Frontier. Along Interstate I-70, just outside of Baltimore heading west is a road mileage sign. From Baltimore to Cove Fort, Utah, it is 2,200 miles of long, steady, relatively safe, modern super-highway travel. San Francisco is another 860 miles further west. A dedicated team of drivers, driving 24 hours a day, can cover the vast distance in three days. However, in 1853, the journey across the country involved months of travel, great danger, expense and venturing into the fearful little documented unknown. An alternative route was to sail around South America to California or to cross the Isthmus of Panama with its malarial jungles to catch a boat to California. The water route was very limited, expensive and risky. The best route to California was dreamed by dreamers everywhere as a pair of shinning steel ribbons that would propel people, materials and goods using a new massive technology, the Railroad. The problem was there was no railroad connecting the East Coast to the West. No one knew where was the best route to build a railroad across the middle of the country. The great interior of the United States was called by the fearful name, the Great American Desert. 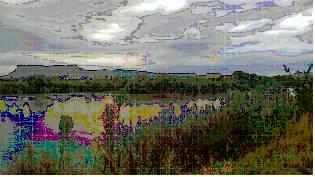 The bones of many would bleach the interior from the Mississippi over the Rockies to the West. Colonel Fremont, known by the popular sobriquet as the Pathfinder, organized a fifth mission of exploration into the interior of the United States. He believed that a rail line along the 38th parallel would be the best all weather route to connect the two halves of the country. His belief was one thing but he had to explore the unknown interior along the 38th during the worst time of year, the winter, to prove his theory. Great possibilities and great fortunes hung upon what he could discover and prove. On an earlier mission of exploration, Fremont had tried his own skills at the new process of recording his travels using daguerreotypes. He failed miserably. For his fifth mission, Fremont decided that he had to have someone who was skilled in the process to travel with him, to document his mission photographically. He needed someone who knew what they were doing and would be willing to risk everything to go with him, westward into the unknown of America. He needed a man of courage, a man of skill, a man of equal vision who believed in his idea and trusted his leadership. He needed a man who would follow him to the ends of the earth to help in the great mission. Colonel Fremont heard of Carvalho as a great artist but also as a highly skilled daguerreotypist. He went to see Carvalho at his studio. On the 22d August, 1853, after a short interview with Col. J. C. Fremont, I accepted his invitation to accompany him as artist of an Exploring Expedition across the Rocky Mountains. A half hour previously, if anybody had suggested to me, the probability of my undertaking an overland journey to California, even over the emigrant route, I should have replied there were no inducements sufficiently powerful to have tempted me. Yet, in this instance, I impulsively, without even a consultation with my family, passed my word to join an exploring party, under command of Col. Fremont, over a hitherto untrodden country, in an elevated region, with the full expectation of being exposed to all the inclemencies of an arctic winder. I know of no other man to whom I would have trusted my life, under similar circumstances. The party consisted of twenty-two persons; among them were ten Delaware chiefs; and two Mexicans. The officers were: Mr. Egloffstein, topographical engineer; Mr. Strobel, assistant; Mr. Oliver Fuller, assistant engineer; Mr. S. N. Carvalho, artist and daguerreotypist; Mr. W. H. Palmer, passenger. With a few days of preparation he ordered specially modified daguerreotype equipment that would be practical for severe weather and high elevation work. The preparations for my journey occupied about ten days, during which time I purchased all the necessary materials for making a panorama of the country, by daguerreotype process, over which we had to pass. To make daguerreotypes in the open air, in a temperature varying from freezing point to thirty degrees below zero, requires different manipulation from the processes by which pictures are made in a warm room. My professional friends were all of the opinion that the elements would be against my success. Buffing and coating plates, and mercurializing them, on the summit of the Rocky Mountains, standing at times up to one's middle in snow, with no covering above save the arched vault of heaven, seemed to our city friends one of the impossibilitiesknowing as, they did that iodine will not give out its fumes except at a temperature of 70 to 80 Fahrenheit. I shall not appear egotistical if I say that I encountered many difficulties, but I was well prepared to meet them by having previously acquired a scientific and practical knowledge of the chemicals I used, as well as of the theory of light: a firm determination to succeed also aided me in producing results which, to my knowledge, have never been accomplished under similar circumstances. To overplay the extreme difficulties that Carvalho and the members of the exploration party undertook cannot be done. Carvalho continued in the early chapters to emphasize the difficulty of what he did, the duty with which he carried out his mission and the dignity of his word of honor that he gave to Colonel Fremont. The Colonel too recognized, respected and honored Carvalho. While suffering from frozen feet and hands, without food for twenty-four hours, travelling on foot over mountains of snow, I have stopped on the trail, made pictures of the country, repacked my materials, and found myself frequently with my friend Egloffstien10, who generally remained with me to make barometrical observations, and a muleteer, some five or six miles behind camp, which was only reached with great expense of bodily as well as mental suffering. The great secret, however, of my untiring perseverance and continued success, was that my honor was pledged to Col. Fremont to perform certain duties, and I would rather have died than not have redeemed it. I made pictures up to the wry day Col. Fremont found it necessary to bury the whole baggage of the camp, including the daguerreotype apparatus. He has since told me that my success, under the frequent occurrence of what he considered almost insuperable difficulties, merited his unqualified approbation. I left New York on the 5th September, 1853, having in charge the daguerreotype apparatus, painting materials, and half a dozen cases of Alden's preserved coffee, eggs, cocoa, cream, and milk, which he sent out for the purpose of testing their qualities. Carvalho set out with the party from Westport, Kansas into the great unknown and the greatest adventure of his life. He had not shot a rifle in years but he mastered the skill again. Riding a horse, little less a mule, walking hundreds of miles on foot through horrible terrain, cold, wet, hungry, exhausted, sleeping on the open ground, frequently snow covered, standing guard against wild animals and Indians would soon be his daily fare. He learned quickly out of necessity. I was a novice in camp life among Indians, and was not aware of the stern necessity required for a strict guardianship of the animals; but the sequel proved, that the "slight dereliction" from duty, as I thought it, involved the most serious consequences. Imagine twenty odd men, 600 miles from the frontiers, at the commencement of a severe winter, deprived of their animals, on an open prairie, surrounded by Comanches, Pawnees and other tribes of hostile Indians. I am fully convinced that but for the "watchfulness" of Col. Fremont, we should have been placed in this awkward predicament. Carvalho saw vast herds of Buffalo and participated in the wild Indian style hunts. I turned my eyes, and, for the first time, beheld a large herd of buffaloes occupying an extensive valley, well wooded and watered, and luxuriant with the peculiar short curled grass, called "Buffalo grass" (Lysteria Dyclotoides), on which this animal principally feeds. I gazed with delight and astonishment at the novel sight which presented itself. There must have been at least 6,000 buffaloes, including cows and calves. It was a sight well worth travelling a thousand miles to see. I was riding at full speed. It requires a very fleet horse to overtake a buffalo cow. A bull does not run quite so fast. After a chase of about two miles, I was near enough to take sight with my rifle, by stopping my pony. I fired and wounded him in the leg-reloaded, and started again at full speed, the buffalo running less swiftly. I fired again, but this time without effect. Not wishing him to get too far ahead of me, I took out my revolver, and got within pistol shot, when I discovered I had chased an old bull instead of a cow. When dying, I approached the monster that had given me such a fright, when he turned his large black eyes mournfully upon me, as if upbraiding me with having wantonly and uselessly shot him down. He spoke often with respect and pain when life was taken to spare his own. Carvalho was privileged to see and photograph the Indians of the Great Plains. He wrote about his experience in a Cheyenne village on the Eastern edge of present day Colorado. The Cheyenne village, on Big Timber, consists of about two hundred and fifty lodges, containing, probably, one thousand persons, including men, women and children. I went into the village to take daguerreotype views of their lodges, and succeeded in obtaining likenesses of an Indian princess a very aged woman, with a papoose, in a cradle or basket, and several of the chiefs, I had great difficulty in getting them to sit still, or even to submit to have themselves daguerreotyped. I made a picture, first, of their lodges, which I showed them. I then made one of the old woman and papoose. When they saw it, they thought I was a "supernatural being;" and, before I left camp, they were satisfied I was more than human. The Pawnees and Cheyennes were at deadly war, at this time. During our visit to the Cheyenne camp, a number of warriors returned from a successful battle with the Pawnees, and brought in some twelve or fifteen scalps as trophies of their prowess. On the night of their arrival, they had a grand scalp-dance; all the men and most of the women were grotesquely attired in wolf, bear, and buffalo skins; some of them with the horns of the buffalo, and antlers of the deer, for head ornaments. Their faces were painted black and red; each of the chiefs, who had taken a scalp, held it aloft attached to a long pole. An immense fire was burning, around which they danced and walked in procession, while some of the women were beating drums, and making night hideous with their horrible howlings and discordant chantings. This was so novel and extraordinary a scene, that I rode into our camp, about three miles off, and induced Col. Fremont to accompany me to witness it. Mr. Egloffstien, succeeded in writing down the notes of their song; they have no idea of music; they all sing on the same key. I did not notice a single second or bass voice amongst them. We returned to camp about 12 o'clock, and left them still participating in the celebration of their bloody victory. I accepted an invitation to dine with the chief; his lodge is larger, but in no other respects different from those of the others. We dined in it, on buffalo steaks and venison; a fire was burning in the centre; around the fire, were beds made of cedar branches, covered with buffalo robes, on which his two wives and three children slept. They use no furniture of any kind; there are hiding places under their beds, in which they place their extra moccasins and superfluous deer-skin shirts. The women make the bows and arrows, and all their moccasins, dress and prepare their skins and buffalo robes, take down and put up their lodges when they move their villages, which is three or four times a year, and all the servile and hard work of the camp. The men hunt, fish, and go to war. The Cheyennes possess a large number of fine horses, some of which they raise, while the most of them are stolen and taken as prizes in their forays with other tribes of Indians. Though a practicing Jew, little is understood from Carvalhos diary about how he observed his Jewish identity. There is never a word that his being Jewish made any difference at all to Colonel Fremont or to any of the party. Keeping Kosher or not keeping Kosher was a pragmatic response. When it became a challenge of life or starvation, Carvalho did what he had to. The party ate whatever they could hunt. Ritual slaughter was a nicety that was not possible. When desperate hunger became real, the men, including Carvalho, ate their horses. Poor fellow! (His Indian pony) Little did I think that day, as he carried me, so full of life and high spirit, that in a few weeks he would be reduced to a mere skeleton, and that I should be obliged, in order to save my own life on the mountains of snow, to partake of his flesh. I shed tears when they shot him down, and I never think of his generous, willing qualities, but I lament the stern necessity that left his bones bleaching on the mountains. Daily prayers, if they were said, were said privately. Each man made his own peace with God and the world about them. None imposed their faith on the other. Horribly hungry, Carvalho had a line, a Jewish limit that he would not cross. A large porcupine was killed and brought into camp to-day by our Delawares, who placed it on a large fire burning off its quills, leaving a thick hard skin, very like that of a hog. The meat was white, but very fat, it looked very much like pork. My stomach revolted at it, and I sat hungry around our mess, looking at my comrades enjoying it. The animal weighed about thirty pounds. Later, when starvation was a near reality high in the mountains, he wrote again. Cold, tired and hungry, I rested myself before the fire, and warmed my frozen limbs. Some little distance from the fire, now covered with snow, lay the frozen meat of the horse we had killed the night before; all in the camp were fast wrapped in sleep. I was the only one awake. Taking out my jackknife, I approached the pile of meat intended for the men's breakfast, and cutting about a half pound of the liver from it, I returned to the fire, and without waiting to cook it, I consumed it rawthe finer feelings of my nature were superseded by the grosser animal propensities, induced most probably from the character of the food we had been living upon for the last forty days. Would Carvalho have made the same decision about the porcupine at this point? He never commented. At times it seemed to Carvalho they were the only people in the world. Were there ever any inhabitants in this extraordinarily fertile country? Will the progress of civilization ever extend so far in the interior? After three hours' hard toil we reached the summit and beheld a panorama of unspeakable sublimity spread out before us; continuous chains of mountains reared their snowy peaks far away in the distance, while the Grand River plunging along in awful sublimity through its rocky bed, was seen for the first time. Above us the cerulean heaven, without a single cloud to mar its beauty, was sublime in its calmness. Standing as it were in this vestibule of God's holy Temple, I forgot I was of this mundane sphere; the divine part of man elevated itself, undisturbed by the influences of the world. I looked from nature, up to nature's God, more chastened and purified than I ever felt before. Carvalho continued with his duties. Plunged up to my middle in snow, I made a panorama of the continuous ranges of mountains around us. The Fremont expedition, high in the Rocky Mountains, was in trouble. Colonel Fremont came out to us, and after referring to the dreadful necessities to which we were reduced, said "a detachment of men whom he had sent for succor on a former expedition, had been guilty of eating one of their own number." He expressed his abhorrence of the act, and proposed that we should not under any circumstances whatever, kill our companions to prey upon them. "If we are to die, let us die together like men." He then threatened to shoot the first man that made or hinted at such a proposition. It was a solemn and impressive sight to see a body of white men Indians, and Mexicans, on a snowy mountain, at night, some with bare head and clasped hands entering into this solemn compact. I never until that moment realized the awful situation in which I, one of the actors in this scene, was placed. I remembered the words of the sacred Psalmist, (Psalm cviii. 4-7) and felt perfectly assured of my final deliverance. "They wandered in the wilderness in a solitary way: They found no city to dwell in. "Hungry and thirsty their souls fainted within them. Then they cried unto the Lord in their trouble, and he delivered them out of their distresses. Southeast Utah, not far from Wild Horse Butte. After we crossed the Green River, the whole party were on foot. The continued absence of nutritious food made us weaker every day. One of my feet was badly frozen, and I walked with much pain and great difficulty; on this occasion my lameness increased to such a degree, that I was the last man on the trail, and my energy and firmness almost deserted me. Alone, disabled, with no possibility of assistance from mortal man, I felt that my last hour had come; I was at the top of a mountain of snow, with not a tree to be seen for miles. Night approached, and I looked in vain in the direction our party had preceded for smoke or some indication that our camp was near. Naught but a desert waste of eternal snow met my anxious gazefaint and almost exhausted I sat down on the snow bank, my feet resting in the footsteps of those who had gone before me. I removed from my pocket the miniatures of my wife and children, to take a last look at them. Their dear smiling faces awakened fresh energy, I had still something to live for, my death would bring heavy sorrow grief to those who looked to me alone for support; I determined to try and get to camp, I dared not rest my fatigued body, for to rest was to sleep, and sleep was that eternal repose which wakes only in another world. Offering up a silent prayer, I prepared to proceed. I examined my guns and pistols, so as to be prepared if attacked by wolves or Indians, and resumed my lonely and desolate journey. As the night came on, the cold increased; and a fearful snow storm blew directly in my face, almost blinding me. Bracing myself as firmly as I could against the blast, I followed the deep trail in the snow, and came into camp about ten o'clock at night. It requires a personal experience to appreciate the intense mental suffering which I endured that night; it is deeply engraven with bitter anguish on my heart, and not even time can obliterate it. Fuller, one of the biggest and strongest of the men had died from exposure and exhaustion. The mission was close to ending in the death of all. Carvalho buried his equipment that he had so religiously continued to use to document the mission. The rest of the party did the same with any extraneous baggage. Fremont, because of his extraordinary wilderness experience, sense of direction and purpose, led the skeletons of men to the tiny Mormon settlement of Parowan. The nearer I approached the settlement, the less energy I had at my command; and I felt so totally incapable of continuing, that I told Col. Fremont, half an hour before we reached Parowan, that he would have to leave me there; when I was actually in the town, and surrounded with white men, women and children, paroxysms of tears followed each other, and I fell down on the snow perfectly overcome. I was conducted by a Mr. Heap to his dwelling, where I was treated hospitably. I was mistaken for an Indian by the people of Parowan. My hair was long, and had not known a comb for a month; my face was unwashed, and grounded in with the collected dirt of a similar period. Emaciated to a degree, my eyes sunken, and clothes all torn into tatters from hunting our animals through the brush. My hands were in a dreadful state; my fingers were frost-bitten, and split at every joint; and suffering at the same time from diarrhea, and symptoms of scurvy, which broke out on me at Salt Lake City afterwards. I was in a situation truly to be pitied, and I do not wonder that the sympathies of the Mormons were excited in our favor, for my personal appearance being but a reflection of the whole party, we were indeed legitimate subjects for the exercise of the finer feelings of nature. When I entered Mr. Heap's house I saw three beautiful children. I covered my eyes and wept for joy to think I might yet be restored to embrace my own. Mr. Heap was the first Mormon I ever spoke to, and although I had heard and read of them, I never contemplated realizing the fact that I would have occasion to be indebted to Mormons for much kindness and attention, and be thrown entirely among them for months. It was hinted to me that Mr. Heap had two wives; I saw two matrons in his house, both performing to interesting infants the duties of maternity; but I could hardly realize the fact that two wives could be reconciled to live together in one house. I asked Mr. Heap if both these ladies were his wives, he told me they were. On conversing with them subsequently, I discovered that they were sisters, and that there originally were three sets of children; one mother was deceased, and she was also a sister. Mr. Heap had married three sisters, and there were living children from them all. I thought of that command in the bible,"Thou shalt not take a wife's sister, to vex her." But it was no business of mine to discuss theology or morality with themthey thought it right. Carvalho and his friend Egloffstein were much too ill to continue with Fremont. After refitting and a number of days of rest, including retrieving the valuable daguerreotypes that Carvalho had so carefully made, Fremont continued on to California. Carvalho was gently and humanely taken care of by the Heap family and his two wives11 before being transported to Salt Lake City. In Salt Lake City, Brigham Young, the head of the Mormon Church, took Carvalho under his wing. He never imposed his religious views on Carvalho. He only asked that Carvalho write truthfully about Mormon life. These Mormons are certainly the most earnest religionists I have ever been among. It seems to be a constant self-sacrifice with them, which makes me believe the masses of the people honest and sincere. Carvalho chose to push on to California after his health returned. About San Francisco and Los Angeles he wrote. Alas! For the morals of the people at large; it was the usual salutation in the morning, "Well, how many murders were committed last night? ""Only fourthree Indians and a Mexican." Sometimes three, often two, but almost every night while I was there, one murder, at least, was committed. It became dangerous to walk abroad after night. A large number of American gamblers frequented the principal hotels, and induced the Californians to risk their money at all the famous games of monte, roulette, poker, faro, etc. The climate is delightful. The pine-apple, grapes, figs and oranges of the tropics, grow alongside of the pears, peaches and apples, of the temperate regions. The most delicious grapes I ever tasted, are cultivated in large quantities in Los Angeles. Wine of a superior kind is made in Los Angeles; it is white and dry like the Hockhiemer or Rhenish. A superior article is worth twenty-five dollars for eighteen gallons. Once again in civilization Carvalho sought out fellow Jews. He arrived in Los Angeles, June 1854 and sought out members of the tiny Jewish community. There were only about thirty Jews living in Los Angeles then. They did not have a synagogue or a cemetery. To the brothers Samuel and Joseph Labatt, (Jewish) merchants of Los Angeles, I am indebted for many acts of kindness; men who anticipate the necessities of their fellowman, and spontaneously offer money advances to a perfect stranger, I have not often met with, "but when found, I make a note of it." Carvalho only stayed a month in Los Angeles but in that month he helped the Jewish community organize the Hebrew Benevolent Society the first Jewish society in Southern California. Its mission was to help one another in times of sickness and misfortune and to purchase funeral plots for the poor. At the first meet of the Benevolent Society the Society unanimously resolved, the thanks of this meeting be tendered to Mr. S.N. Carvalho for his valuable services in organizing this Society, and that he be elected an honorary member. Carvalho returned to his wife and children in Baltimore. How, by what route, no one knows. 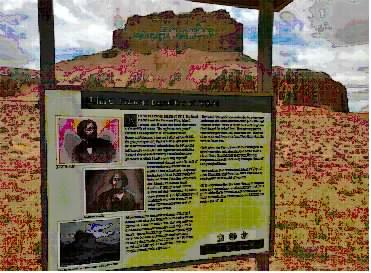 John C. Fremont never did publish an account of his fifth and final expedition. His recommendation for a railroad to follow the 38th parallel was not accepted. The valuable daguerreotypes that Carvalho worked so hard to create and preserve were eventually turned over to the famed photographer Mathew Brady. They became mixed in with his work and after a disastrous fire most of Carvalhos daguerreotypes were destroyed. A few survived and have managed to be identified as his work, such as the daguerreotype of Wild Horse Butte. The only written account of Fremonts fifth expedition was the book that Carvalho wrote. The book was partly designed to extol the virtues of Fremont. Fremont was the Republican candidate for President in 1856. He was running on an abolitionist platform. He lost. Carvalho badly needed money to support his large family. He sold the rights to his book for $200. The book became a major national best seller. Focusing his energies on his painting and photography business was not enough to feed his family. Carvalhos creative mind wondered about how to improve the efficiency of the Steam boiler. He was issued his first patent in 1860. Very quickly the Carvalho super-heater expanded from use in Baltimore foundries to refineries and factories across the United States. Carvalho and his wife Sarah were very active in Baltimores Jewish life. He founded Baltimores Beth Israel Sephardic synagogue which followed the American minhag of Rabbi Isaac Lesser. It disbanded in 1859. Sara founded the Baltimore Hebrew English Sunday School. Sara Carvalho had uncovered a serious need within the Baltimore Jewish community. After only one year of operation, the school had over two hundred and twenty five students getting a Jewish education in English. With their family still growing, Carvalho was unable to make a satisfactory income to support them in Baltimore. He moved his family to New York. Sadly, by 1869, his vision began to fail with cataracts. Carvalho turned his attention to his inventive efforts, his steam superheating business. Receiving two more patents in 1877 and 1878, inventions that brought Carvalho the Medal of Excellence from the American Institute of New York, he and his family were finally financially secure. In New York, Carvalho and his wife continued founding institutions of Jewish interest and Jewish community. He and Sara founded a small synagogue in Harlem, the Hand-in-Hand Congregation -1870. He invested many of his final years trying to harmonize modern scientific thought and the biblical story of creation found in the book of Genesis. The work was never published. Solomon Carvalho died May 21, 1897. His health began declining after his wifes passing three years earlier. He was laid to rest by her side in New Yorks Shearith Israels cemetery, the Spanish-Portuguese Synagogue founded in 1654. The story of Solomon Carvalho does not end here so simply. When the Mormons of Parowan, Utah saved his life, they helped place a stone in the foundation of the modern State of Israel. Carvalhos son David grew up to become the worlds greatest hand writing analyst. At the second trial of Alfred Dreyfus for treason against France, David Carvalho12 proved beyond any reasonable doubt that the handwriting on the notes that betrayed France to Germany was not Dreyfus handwriting. The handwriting belonged to Major Esterhazy13. Dreyfus was innocent. The French military court convicted Dreyfus a second time none the less. The honor of the French army was more important than the innocence of a Jew. The historic marker that was dedicated near Wild Horse Butte was a joint effort of many people, not just the Jewish American Society for Historic Preservation. One man in particular saw it as his vision to share the story of John C. Fremont and Solomon Carvalho, Wade Allinson. Next year, God willing, Wade and JASHP may again be erecting another historic marker to Fremont and Carvalho in the community that saved Carvalhos life, Parowan Utah. Nothing contrary to the authority, rule, and government of heaven, will stand in time or in eternity; and if any man wants to be blessed and honored, and to obtain a high place in the eternal world, let him pursue a course of honor, righteousness and virtue before his God. 11 Carvalho wrote of his disapproval of polygamy among the Mormons in a later chapter of his book. He did not comment on polygamy practices by the Indians.